On November 24, 1974, fossils of one of the oldest known human ancestors, an Australopithecus afarensis specimen nicknamed “Lucy,” were discovered in Hadar, Ethiopia. "Lucy" is the nickname given to the Australopithecus afarensis skeleton fossils discovered in East Africa in 1974. This model is based on Lucy and other A. afarensis fossils. Photograph by 1997, courtesy Wikimedia. This file is licensed under the Creative Commons Attribution-Share Alike 2.5 Generic, 2.0 Generic and 1.0 Generic license. 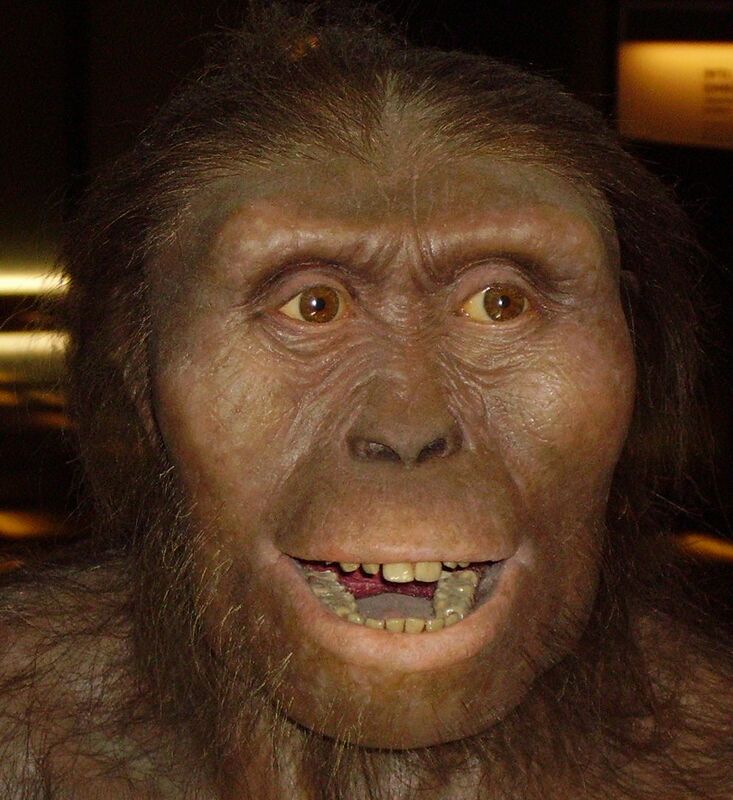 On November 24, 1974, fossils of one of the oldest known human ancestors, an Australopithecus afarensis specimen nicknamed “Lucy,” were discovered in Hadar, Ethiopia. The team that discovered her, led by American paleoanthropologist Donald Johanson and French geologist Maurice Taieb, nicknamed the skeleton “Lucy” after the Beatles song “Lucy in the Sky with Diamonds,” which was played at the celebration the day she was found. Lucy, about 3.2 million years old, stood only a meter (3.5 feet) tall. She had powerful arms and long, curved toes that paleontologists think allowed her to climb trees as well as walk upright. organism from whom one is descended. remnant, impression, or trace of an ancient organism. person who studies the physical formations of the Earth. person who studies fossils and life from early geologic periods. individual organism that is a typical example of its classification.